Pakistan has the fastest growing nuclear arsenal and, within the next five to ten years, it is likely to double that of India, and exceed those of France, the United Kingdom, and China. Only the arsenals of the United States and Russia will be larger. In recent years, Pakistan has boasted of developing “tactical nuclear weapons” to protect itself against potential offensive actions by India. In fact, Pakistan is the only country currently boasting of makingincreasingly tiny nuclear weapons (link in Urdu). Pakistanis overwhelmingly support their army and its various misadventures. And the pursuit of tactical weapons is no exception. However, there is every reason why Pakistanis should be resisting—not welcoming—this development. The most readily identifiable reason is that, in the event of conflict between the two South Asian countries, this kind of weaponization will likely result in tens of thousands of dead Pakistanis, rather than Indians. And things will only go downhill from there. Why would Pakistan want “the world’s smallest nuclear weapons”? In late 1999, Pakistan’s general Pervez Musharraf (who took power of Pakistan through a military coup in Oct. 1999 and remained in power until 2008), along with a tight cabal of fellow military officials began a limited incursion into the Kargil-Dras area of Indian-administered Jammu and Kashmir. While planning for this began in the fall of 1998, by the time Pakistani troops were discovered there in May of 1999 Pakistani forces had taken territory that was several miles into India-administered Kashmir. Because the Pakistanis had the tactical advantage of occupying the ridge line, India took heavy losses in recovering the area from the invaders. The so-called Kargil War was the first conventional conflict between India and Pakistan since the two conducted nuclear tests in May 1998. International observers were wary that the conflict would escalate either in territory or aims, with the potential for nuclear exchange. Fearing such escalation, then Pakistani prime minister Nawaz Sharif sought support from China and the United States. Both were adamant that Pakistan respect the line of control, which separated the portions of Jammu-Kashmir administered by India and Pakistan. Under international pressure and branded an irresponsible state, Pakistan withdrew its forces from Kashmir. It initially claimed that the intruders were mujahedeen—but this was later found to be pure fiction. While Pakistan was isolated internationally, the international community widely applauded India’s restraint. The Kargil War provided the United States with the opportunity to reorient its relations away from Pakistan towards India, while at the same time, demonstrated to India that the United States would not reflexively side with Pakistan. Xuanzang was a scholar, traveler, and translator. 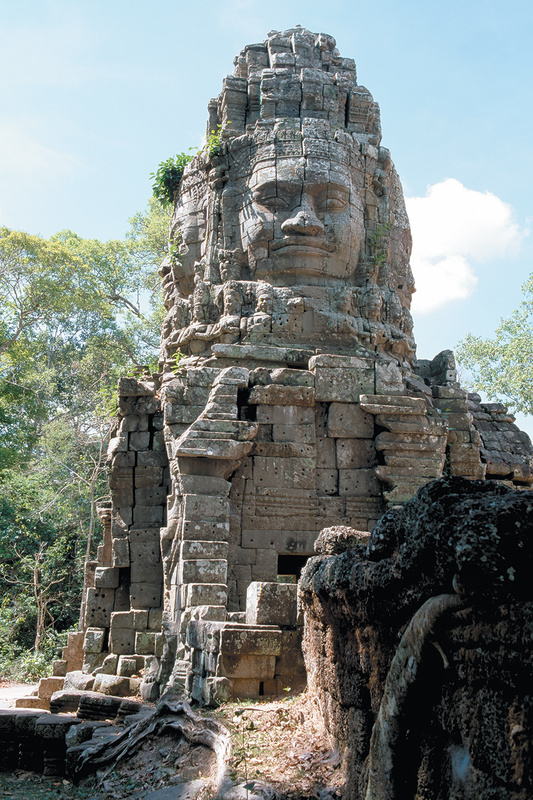 When he wrote these words in the seventh century, he had just returned from an epic seventeen-year, six-thousand-mile overland pilgrimage and manuscript-gathering expedition to the great Indian centers of Buddhist learning. Buddhism by then had been the established religion of most of South and Central Asia since it was taken up by Emperor Ashoka in the third century BC, around three hundred years after the Buddha’s death in northern India. The account Xuanzang wrote of his journey, Buddhist Record of the Western World, makes it clear that the places he passed through from western China to the Hindu Kush were then very largely dominated by Indic ideas, languages, and religions. What distinguishes Bharat Karnad's thinking about the future of India is that he is a true realist in the Machiavellian manner. Bharat Karnad is a professor of National Security Studies at the Centre for Policy Research in New Delhi—and the Machiavelli of India. His new book, “Why India is Not a Great Power (Yet),” lays out everything that’s wrong with his country's foreign policy, bureaucracy and defense establishment and how to fix it. What distinguishes Karnad's thinking about the future place of India in the world is that he is a true realist in the Machiavellian manner. Realism is often confused with being realistic. That's just wrong. Strategic thinkers of every stripe think they are realistic. Being realistic is figuring out what works. Realism is about why it works. Realists contend ‘power’ serves as the operative force governing the relationship between states. Everything else—structure, treaties, bargains, deals, rules, sanctions, relationships, wars—are all just tools of statecraft. The hand that turns the tool is power. When it comes to believing in power, Karnad is very much living in the Machiavellian moment. He is fixated on sweeping away generations of Indian geo-strategic architecture that prop up the policies of a non-aligned state obsessed with soft-peddling its influence. Karnad wants India to wield hard power like a hammer. Machiavelli has been hated by history for just saying that power matters most. Frederick the Great, (ironically probably the most cold-blooded realist of eighteenth-century Europe) wrote a chapter-by-chapter critique rebuking Machiavelli's every thought. The modern British philosopher Isaiah Berlin penned a famous essay on Machiavelli's questionable morals. Karnad has had his share of critics as well. When it comes to sub-continent security policy, the professor is far from the madding crowd. "Amongst thinkers who relish the notion of a non-aggressive, soft treading India," notes one reviewer, "Karnad's book will spark a fresh round of tut-tuting." He is about as hawkish as they come, including advocating building atomic landmines to block an enemy's passage to India. But Machiavelli didn't believe in power without moral purpose. Neither does Karnad. Sure, Machiavelli lauded princes who lied and murdered, not because might was right, but because they were trying to get it right. Machiavelli was sick and tired of tiny Italian city-states and their citizens being pushed around, exploited and subjugated by greater powers. He was looking for leaders who could unite the states and stand up to outsiders. Likewise, Karnad wants India to give up its smiley face of foreign policy not for the sake of being more powerful, but for the sake of India. Several weeks ago, amid little fanfare, India and Afghanistan concluded an arms deal. This was no run-of-the-mill transaction: It was a significant weapons transfer — perhaps one of the most consequential in the South Asia region in several years, thanks to the precedent it sets and the considerable implications it may have for regional stability. In early November, India agreed to send four Mi-25 attack helicopters to Afghanistan. They will be equipped withmachine guns, rockets, and grenade launchers, and transferred from Russia — the country where the aircraft were manufactured (Russia’s deputy prime minister was said to have given Moscow’s formal approval of the transfer during a visit to New Delhi on December 8). According to Indian media reports, the helicopters should be delivered to Afghanistan within the next few weeks. The accord marks the first time that India has transferred offensive weaponry to Afghanistan. Previously, New Delhi’s military assistance to Kabul had been restricted to training and advising, and to the provision of military transport vehicles and other non-lethal hardware. Notably, the security cooperation section of a strategic partnership agreement concluded in 2011, which speaks of assistance with “training, equipping, and capacity building,” was generally interpreted to mean that Afghan security forces should not be expecting any lethal kit. It also bears noting that there was a period of time in recent years when New Delhi went out of its way to explain that it was not in a position to provide helicopters to Afghanistan. Several factors could explain why New Delhi decided to change its policy and allow for the transfer of offensive weaponry to Afghanistan. One is the Indian government itself. In previous years, India has held off on such moves in great part to avoid provoking Pakistan’s army, which does not want an Indian military footprint in Afghanistan. However, since coming to power last year, the administration of Prime Minister Narendra Modi has suggested that it won’t let Pakistan’s concerns affect its policy decisions. The helicopter deal telegraphs a dramatic message: The Modi government will pursue its interests in Afghanistan regardless of how many feathers it may ruffle in Rawalpindi. A second possible reason why India agreed to the helicopter deal is the alarming situation on the ground in Afghanistan. Since the departure of international combat troops, the government’s ability to exert its influence outside Kabul has become increasingly tenuous. The Taliban insurgency is expanding its territorial gains nationally, not just in its southern stronghold. Meanwhile, several hundred disgruntled Taliban militants have pledged allegiance to the Islamic State. Afghan security forces, despite demonstrating stronger capacities in kinetic operations, remain a work in progress. These forces are far less effective when forced to operate without U.S. enablers. One can’t expect Afghanistan’s dysfunctional National Unity Government, which cannot even fill its cabinet after 15 months in power, to address a policy challenge as major as capacity shortages within the military. 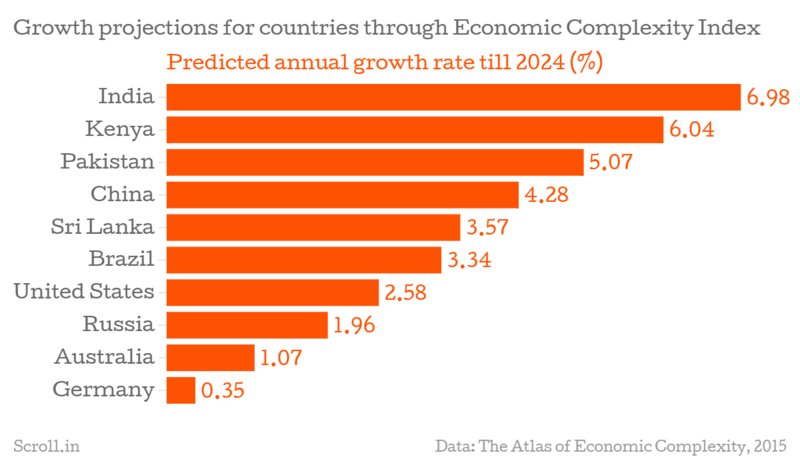 Country could grow at 7% each year until 2024, researchers say. Despite questions about the economy and confusion over the new growth figures, India is still best placed to see the highest growth annually for the next decade. Researchers at Harvard University have predicted that India will grow at 7% annually until 2024, while neighbouring China’s economy will stumble to a growth rate of just 4.2%. The Centre for International Development’s annual economic complexity index, which predicts growth rates by analysing exports and manufacturing diversity, has placed India at the top for its potential in the coming decade. According to the analysis, economies in South Asia as well as East Africa shows the highest potential for fast growth while oil-driven economies as well as those earning their revenues through commodities will face a slowdown in the next 10 years. “India has made important gains in productive capabilities, allowing it to diversify its exports into more complex products, including pharmaceuticals, vehicles, even electronics,” writes Ricardo Hausmann, Professor of the Practice of Economic Development at Harvard Kennedy School, in the report. If the Indian government's Mid-Year Economic Review is accurate, India remains on course to live up to the 7% prediction this year. The Review lowered its growth estimate for India’s Gross Domestic Product this year from the 8.1%-8.5% estimated in the budget in February to 7%-7.5%. That still falls within the range predicted by the Harvard researchers. A long-awaited gas pipeline could bring prosperity and stability to some of the poorest countries in Central and South Asia. But can the project survive Kandahar? One of the world’s most quixotic energy projects finally kicked off this month, with the formal groundbreaking of the so-called TAPI pipeline meant to tap into the gas fields of Turkmenistan, snake across Afghanistan and Pakistan, and end up fueling thirsty markets in India. But it remains to be seen whether the project will indeed become the game-changer that many in the region hope or whether Afghanistan will again become the graveyard of energy empires. The notion that cross-border energy projects can lead to closer and friendlier ties and regional cooperation faces no sterner test than in the $10 billion TAPI pipeline. At 1,100 miles long, it will have to cross both the Taliban heartland in southern Afghanistan and the restive Baluchistan in southern Pakistan. The project is meant to soothe decades of animosity between Pakistan and Afghanistan and between Pakistan and India. Ideally, it would finally turn the barren hills of Afghanistan from a barrier into a bridge, linking Central Asia’s vast resources with South Asia’s booming economies. For Turkmenistan, it represents a way to find new markets to avoid excessive dependence on sales to China. For Afghanistan and Pakistan, the pipe would bring both much-needed natural gas and hundreds of millions of dollars in annual transit fees. And for India, the pipeline could help meet a voracious demand for energy that currently can only really be met with dirty coal. That’s why the pipeline has been a longtime dream not just of leaders in the region, but also of U.S. diplomats who tried to promote a “New Silk Road” for Central Asia to bring trade, jobs, and security to the war-torn region. TAPI, the United States figures, can give Turkmenistan more options to sell its energy, helping free it from excessive reliance on nearby neighbors like Russia, which is trying to reassert its historical dominance in the area. It can also both link Afghanistan to its neighbors and give Kabul a reliable source of energy and income, in addition to potentially greasing reconciliation between New Delhi and Islamabad. U.S. Secretary of State John Kerry most recently championed the project on a trip through Central Asia last month. For a first-time visitor arriving in Kabul with the preconceived image of a country in ruins, it is perfect normalcy that greets you. It is the first day of December, bright and calm. I land at Hamid Karzai International Airport, perhaps the only airport named after a living world leader who is still young. As a former president who shouldered the burden of nation- building in Afghanistan post-9/11, he continues to advise current Afghan leaders. I am here to speak at a counter-terrorism conference organised by the Afghan Ministry of Foreign Affairs. I expect Kabul airport to be a fortress with armed commandos on alert, but no cops are to be seen around. A car drives me down the airport expressway into Shar-e- Naw (the new city), also known as the Green Zone, which is home to embassies and government buildings. Some of the first buildings I spot on either side of the expressway speak of the social reality of the Afghan wedding. Big uroosi, or wedding halls, dot Kabul. As people acquired new money in recent years, such halls became a sign of social mobility. While wedding parties were traditionally held at home, they are a big business now, says Rahimullah Barez, an official who accompanies me from the airport. A mile down the road, female commandos look at passersby from a large billboard, urging them to support the Milli Police (the national police). Life in Shar-e-Naw appears normal. For an Indian used to seeing large crowds, spaces appear open and wide. Hotels, embassies and government buildings hide behind nondescript walls. Aside from a few new buildings, there are no tall structures. I see a few police vehicles parked at a chowk (I learn that ‘chowk’ is also a word in Dari, the main language spoken in the city) and wonder what fate awaits these policemen in the event of an attack by the Taliban. The US Embassy has issued an alert warning of an ‘imminent’ terror attack within 48 hours. I am worried. ISLAMABAD, Pakistan — In a country that has more than 20,000 religious schools, Pakistani investigators say the madrassa where Tashfeen Malik studied the Koran doesn’t stand out as being especially radical or linked to past violence. But experts here can’t say the same about every other madrassa in the country. Religious schools provide Koranic teachings to 3.5 million children and young adults in Pakistan, and officials and analysts think that a small but significant number of these institutions act as incubators of radicalism. Malik’s killing of 14 people in San Bernardino, Calif. — in an act carried out with her husband — has refocused attention on the roots of Islamist extremism here. The Al-Huda Institute, where Malik studied, is relatively obscure and not known for being confrontational, although four female students at its affiliate in Ontario did leave Canada to try to join the Islamic State, the Canadian Broadcasting Corp. reported. But observers trace some of the strong currents of religious radicalism in Pakistan back to similar institutions. Critics argue that the government has fallen short on its promise to police the madrassas and that the most extreme among these institutions have allowed a radical and violent view of Islam to grow here, even beyond their walls. If Malik was radicalized in Pakistan, it was because she was exposed to ways of thinking that these schools have helped to promote. Wednesday was the first anniversary of a Taliban attack on a school in Peshawar that killed more than 150 teachers and students. The attack galvanized the government and public around a significant military response as well as reforms to clamp down on extremist views. Madrassas were not excluded. Joining India and China, its border settlement with one depending on the goodwill of the other, especially in the sensitive Chumbi tri-junction, geography gives Bhutan a role in facilitating that outcome. Ma Zhanwu, dapper even if his Mao jacket is no longer fashionable in sartorially conscious Beijing, represents China in Kolkata. Karma T. Namgyal, swashbuckling in knee-length kho, is Bhutan’s consul-general in the city. Last week they celebrated national occasions within three days of each other, inadvertently highlighting a foreign policy priority that prompted Narendra Modi to make the Himalayan kingdom his first destination abroad as Prime Minister. The visit’s timing was especially significant. Two weeks later Bhutan’s foreign minister flew to Beijing for the 22nd round of the talks to demarcate the 470-km Sino-Bhutanese border that began in 1984. This year’s 23rd round was similarly inconclusive. This is not to blame any of the three countries that meet in the Chumbi Valley but to indicate how closely India, China and Bhutan are bound. India and China must work together in the next years and decades — as Mr Ma stressed at the start of the delightful “White Lotus Black Sand” Sino-Indian dance performance — to build up trust and sustain peace and prosperity in and beyond the Himalayan region. Mr Namgyal’s reference to “security” (unusual on such occasions) and Bhutan’s strategic geopolitical position recalled Prithvinarayan Shah, the 18th century founder of the Nepalese monarchy, describing his newly-unified kingdom as a yam between two boulders. Nepal’s is an example to be avoided. In London last month, I watched groups of men with banners reading “Don’t Blockade Nepal” picketing Mr Modi’s Wembley Stadium jamboree. Whether or not there is any truth in the charge, it must have pained the Prime Minister to hear it hurled at him by people from the only other country that shares the faith that is his principal political asset. Every nation enjoys the sovereign right to a foreign policy that best serves its national interest, but reports from Kathmandu suggest the ruling Unified Communist Party of Nepal (Maoist) is trying to play off India against China. Statesmanship lies in rising above tensions that are endemic in geopolitics. This is something the Bhutanese excelled at even before Ugyen Wangchuck was crowned the first King in 1907. An instance cited is that of King Ugyen agreeing in 1910 to replace the 1865 treaty of Sinchula with the treaty of Punakha under which he agreed to be “guided” by the (British) Indian government’s “advice” in external affairs. The stipulation allayed British suspicions about Chinese and Russian influence. Why Does China Want Aircraft Carriers? The People’s Republic of China is the only nation on Earth building not one but two “carrier-killer” missiles. Yet, China is also one of just a handful of countries who wants to build more carriers. Odd? Not exactly, if you know the history and why Beijing wants carriers in the first place. Almost five years ago, mass protests swept the Egyptian autocrat Hosni Mubarak from power. Most local and foreign observers believed that Egypt was on the path to a democratic future; some even proclaimed that democracy had arrived. But the election of Mohamed Morsi and the Muslim Brotherhood’s Freedom and Justice Party led to polarization and violence, and in 2013, after more mass protests, General Abdel Fattah el-Sisi seized power in a military coup. Since then, Sisi’s regime has killed more than 1,000 civilians, imprisoned tens of thousands more, and cracked down on media and civil society. Nearby Tunisia has fared better. The wave of Arab uprisings began there in 2010, and the democratic government that Tunisia’s revolution ushered in has survived. It succeeded at one of a transition’s critical tasks: agreeing on a new constitution, an achievement recognized by the Nobel Committee when it awarded its Peace Prize to a quartet of civil society organizations active in Tunisia’s transition. But Tunisia’s democracy remains fragile, threatened by political violence, a crackdown on dissidents, and human rights violations. In Cuba, too, there are finally hopes for a democratic future, as aging authoritarian rulers begin to introduce reforms. And in Myanmar (also known as Burma), a slow and uneven transition from military rule to inclusive governance may be under way, but it remains fraught with difficulties. The Rebalance authors Mercy Kuo and Angie Tang regularly engage subject-matter experts, policy practitioners and strategic thinkers across the globe for their diverse insights into the U.S. rebalance to Asia. This conversation with Dr. Emile Nakhleh – retired Senior Intelligence Service Officer and former director of the Political Islam Strategic Analysis Program at the Central Intelligence Agency, Research Professor and Coordinator of National Security Programs at the University of New Mexico, author of A Necessary Engagement: Reinventing America’s Relations with the Muslim World (2009), among numerous other publications, and contributor to LobeLog on U.S. foreign policy, the Middle East, political Islam, radicalization, and terrorism – is the 25th in “The Rebalance Insight Series”. Briefly compare and contrast political Islam in Asia and the Middle East. Generally speaking, political Islam and Islamic activism in East and Northeast Asia tend be more tolerant and less dogmatic than Sunni Islam in the Arab heartland and the greater Middle East. As the largest Muslim country in the world, Indonesia’s brand of Islam over the centuries has tended to focus on commerce, education, and community service. Many Sunni Muslims in Asia adhere to the tolerant Shafi’i School of jurisprudence or mathhab, one of the four “Schools” in Sunni Islam. Unlike Middle Eastern Muslim majority countries, Muslims in Asia – especially in Indonesia, Malaysia, and the Philippines – have had the experience of living and interacting with large minorities or majorities of non-Muslim groups. Furthermore, the demands that some Asian Muslims have voiced in the past decade have focused on equality and autonomy but have not called for regime change or for the imposition of intolerant, radical Muslim ideologies. Nor has the Sunni-Shia sectarian divide been as divisive in Asia as it has been in the Islamic heartland in the Middle East. What is the difference between political Islam and radical Islam? A state-building manual for Islamic State administrators confirms the complexity and breadth of the group's efforts to create a functioning state, albeit one ruled by terror. In life under Islamic State, however, many civilian services seem to be suffering. Politicians, media, and readers from New York to Damascus have debated what, exactly, to call Islamic State, a radical Islamist group that controls a vast stretch of Syria and Iraq while inspiring terror around the globe. IS. ISIL. ISIS. Daesh. But to its affiliates, a single name now suffices, according to The Economist: the State. The dawning realization that Islamic State is actually intent on establishing a "caliphate" for the world's Muslims is underscored by a 24-page state-building manual leaked to The Guardian, which experts say should carefully guide Western nations' response to an increasingly global fight against the group's terror both at "home" and abroad. "If the west sees [Islamic State] as an almost stereotypical band of psychopathic killers, we risk dramatically underestimating them," retired Gen. Stanley McChrystal told the Guardian, comparing the group's strategies to Mao Zedong and the Viet Minh. The document's detailed plans for a full-fledged state, outlining an educational curriculum, propaganda, and an oil and gas-based economy, were penned for administrators between July and October 2014, soon after leader Abu Bakr al-Baghdadi declared a caliphate in northern Iraq and Syria. In the rhetoric of American leaders, the Islamic State is a terrorist group. The terrorism label, while accurate, is also misleading, obscuring more than it enlightens. One of the top scholars of terrorism, Audrey Kurth Cronin, sharply criticizes the label “terrorist”to describe the Islamic State, arguing that doing so confuses us as to the true nature of the group and how best to fight it. But if the terrorism label doesn’t work, the alternatives are imperfect. It is best to think of the Islamic State as an amalgam, bringing together the characteristics of many different types of actors – some legitimate, some downright evil – but with no single label doing the job. Definitional issues have always hindered our understanding of terrorism, as no one, agreed-upon definition exists. However, our lack of a proper vocabulary stymies our public discourse and our policy response: if we can’t articulate what we are fighting, it’s hard to articulate how to fight it. A failure to recognize and counter all of the faces the Islamic State presents to the world will severely limit our ability to defeat it. Let’s start with the label terrorist. As the Paris, Sinai, and San Bernadino attacks make clear, the Islamic State uses international terrorism – political violence against non-combatants outside its immediate theater of operations – to achieve a psychological effect. The Islamic State uses such violence to intimidate its enemies and attract recruits. Alas, it is succeeding in generating fear, as polls show Americans are more concerned about terrorism now than at any time since 9/11. Indeed, if anything, the international terrorism label seems more applicable to the group today than it did a year ago. Then, the Islamic State was focused on its immediate theater and attacks on non-combatants were linked to its local struggle. Attacks in the West seemed, at least to the outside world, not to be a priority. This brings us to the second label: insurgent. The Islamic State is skilled at moving up and down the Maoist spectrum of operations, and it regularly conducts guerrilla war and tries to mobilize political support, classic traits of an insurgency. At the same time, almost every insurgent group also uses terrorism, broadly defined. The Islamic State, for example, uses suicide bombers to attack enemy police and military forces, assassinates Iraqi and Syrian opponents (including leaders of rival jihadist groups), and otherwise uses what are usually considered terrorist tactics as part of its insurgent struggle. THOSE following diplomatic “road maps” in the Middle East often fail to reach their destination. So when the parties involved in Syria's nearly-five-year-old civil war produced a guide for ending that conflict last month, there was much scepticism. Pessimism is still warranted, but on December 18th more progress was made on the path to peace, as the United Nations Security Council unanimously passed a resolution calling for a ceasefire and talks between the Syrian government and opposition in early January. The measure comes after months of negotiations between world powers, most notably America and Russia, which have been divided over the future of Syria. 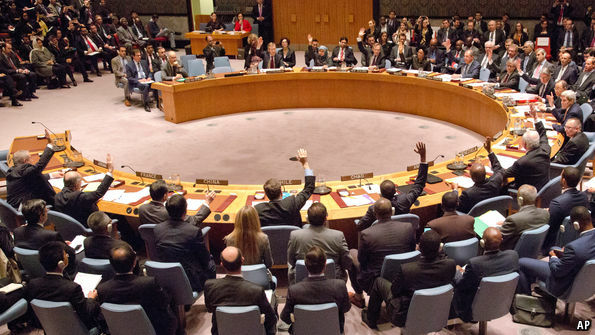 It is the first time the security council has endorsed a peace plan. And yet it is still far from clear that the agreement reached in New York will result in an end to the fighting, which has killed more than 250,000 people and caused more than 4m people to flee the country. “No one is sitting here today suggesting to anybody that the road ahead is a gilded path. It is complicated. It will remain complicated,” said John Kerry, America’s secretary of state. Many questions remain unanswered, the biggest of which concerns the fate of Bashar al-Assad, Syria’s authoritarian president, who is opposed by a patchwork of moderate and radical rebel groups. Elections are to be held within 18 months of the start of talks, according to the resolution, and it has for the moment been left unclear whether Mr Assad would be allowed to run; his position in the interim is also unclear. But Russia, which has bombed his opponents, does not want him removed ahead of time. “Only the Syrian people are going to decide their own future. That also covers the future of the Syrian president,” said Sergey Lavrov, Russia’s foreign minister. This question alone has the obvious capability to be a show-stopper. Where Do The Majority Of Muslims Want Sharia? The Independent recently asked Statista to compile an infographic on the countries worldwide where the majority of Muslims are in favour of introducing sharia law. Using Pew Research Center data, it shows that countries where Islam is already favoured in law, like Afghanistan and Iraq, have the strongest backing for making sharia the official law of the land. The issue of unifying Kurdish military forces has been on the Kurdish region’s public agenda since 1991. Seventeen years later, the various peshmerga forces remain divided along partisan lines. The Paris climate deal shows that the international community finally gets the science. Our leaders have publicly committed to the idea that we need to decarbonise our energy supplies and undertake a radical transformation of the global economy. But the challenge that Paris has presented the world with is how to convert that rhetoric into the laws and regulations needed to make the goal of the agreement a reality. The final text provides little detail on implementation, just a complex web of pledges with no certainty of when or if they will be fulfilled. One of the biggest gaps between the reality of our climate situation and the text of the Paris Agreement is in the absence of two sectors that are major contributors to the world's greenhouse gas emissions. Shipping and aviation were referred to in the world's previous climate change deal, the Kyoto Protocol, and were still referred to in the draft of the Paris Agreement until just a few days before it was signed. But they disappeared from the final text, perhaps in an attempt to secure a stronger agreement. This is important, because in combination they are a large and growing share of total CO2 emissions. Under current policy and projections, assuming that the world's total carbon emissions fall by enough to prevent more than 2℃ of warming, by 2050 shipping and aviation could contribute 40% of our CO2 output. Failure to control these sectors will jeopardise the fulfillment of the Paris "well below 2℃" ambition. There’s a new can-do nation. It’s called Germany. The United States, fear-ridden, has passed the torch. Throughout the extraordinary process that has seen roughly one millionrefugees arrive in Germany this year, Chancellor Angela Merkel has had a consistent refrain: “Wir schaffen das” — or “We can do this.” The gesture in question is the most extraordinary redemptive act by any European nation in many years. Germans on the whole have understood. They have understood that to flee Syria through Islamic State checkpoints, place your family in flimsy boats on stormy waters, and trudge across Europe in search of a home is not a desperate decision. It is a reasonable decision if the alternative is to see your children blown up by a barrel bomb or your daughter raped by a jihadi. Post-war Germans are reasonable people. The United States would have had to admit about 4 million refugees this year to take in a similar proportion of its population. It has fallen more than 3.9 million short of that mark. Most of the refugees in Germany are from Syria. The United States has admitted about 1,900 refugees from Syria over the past four years. Yes, you read that right. President Obama has now pledged to resettle 10,000 Syrian refugees — a decision that had met defiance from more than two dozen Republican governors eager to conflate the words “Muslim” or “Middle Eastern” with terrorist. Set aside the fact that the Syrian crisis cannot be disentangled from the spillover of the Iraq war, and so America’s direct responsibility is engaged. Set aside the fact that Obama said in 2011 that President Bashar al-Assad must step aside, and so America’s responsibility is engaged. Set aside the presidential “red line” not upheld in 2013. Even then, by any reasonable measure, the American response to the Syrian refugee crisis has been pitiful. Preventing further intensification of Syria's civil war should be the top priority for U.S. policymakers in 2016, according to leading experts who took part in the Council on Foreign Relations' (CFR) eighth annual Preventive Priorities Survey. Syria's civil war has replaced the conflict in Iraq as the number one concern among respondents. The Preventive Priorities Survey seeks to evaluate conflicts based on their likelihood of occurring or escalating and their impact on U.S. national interests. This fall, CFR's Center for Preventive Action (CPA) solicited suggestions from the general public on potential conflicts that could erupt or escalate next year. CPA narrowed down the nearly one thousand suggestions to thirty, and invited government officials, academics, and foreign policy experts to rank them. CPA then categorized the scenarios into three tiers, in order of priority for U.S. leaders—high, moderate, and low. "Our annual survey aims to highlight potential areas of instability and help U.S. policymakers anticipate contingencies that could be harmful to national interests. By prioritizing conflicts based on their overall risk to the United States, the survey helps to focus their attention and resources for specific conflict prevention efforts in the year ahead," said Paul Stares, General John W. Vessey senior fellow for conflict prevention and CPA director. "Revisiting our ‘strengthen the moderates’ strategy, I now believe that while it was basically sensible, it was off track in two critical ways." Over the past decade, the prevailing thinking has been that radical Islam is most effectively countered by moderate Islam. The goal was to find religious leaders and scholars and community ‘influencers’—to use the lingo of the counter-radicalization specialists—who could explain to their followers and to any misguided young people that Islam is a religion of peace, that the term jihad refers mainly to the individual’s personal struggle against temptation and for moral betterment, and that tolerance and interfaith cooperation should prevail. The presence of local Muslim luminaries, taking the lectern to announce that what had just happened bore no relation to true Islam, has become part of the ritual following any terrorist incident in a Western country. As director of the RAND Initiative for Middle Eastern Youth, I was an early proponent of this approach. It assumed two things: first, that because of a lack of education, or poverty or other handicaps, many Muslims had developed an incomplete or incorrect understanding of their own religion; and second, that the extremists were so much louder and had backing from various maleficent sources, and therefore were gaining larger audiences. The task therefore was to help moderate Muslims spread the word. Multiple and expensive programs were launched to fund religious instruction, radio and television shows, community outreach efforts and more. With a track record of well over a decade, it does not seem as though this is working. Even granted that an undertaking of this magnitude—shaping the way in which a world religion sees itself—takes time, it’s unfortunately more than just a matter of progress being slow. Intelligence officials say coded communication hampers their ability to detect plots and trace perpetrators. But is it practical and wise to allow governments widespread access? As US politicians and counter-terrorism officials search for lessons from the recent attacks in Paris and San Bernardino, California, senior officials have called for limits on technology that sends encrypted messages. It’s a debate that has repeatedly recurred for more than a decade. In the 1990s, the Bill Clinton administration directed technology companies to store copies of their encryption keys with the government. That would have given the government a “backdoor” to allow law enforcement and intelligence agencies easy access to encrypted communications. That idea was dropped after sharp criticism from technologists and civil liberties advocates. More recently, intelligence officials in Europe and the United States have asserted that encryption hampers their ability to detect plots and trace perpetrators. But many have questioned whether it would be practical or wise to allow governments widespread power to read encrypted messages. To help readers appreciate the arguments on both sides, we’ve pulled together some FAQs on a subject that is sure to be hotly debated in the years to come. Are terrorists really using encrypted messages to plot attacks? There’s mounting evidence that terrorist groups are using encryption, but so does nearly everyone living in modern society. Encryption protects your bank information, prevents your password from being stolen when you log into a website, and allows all e-commerce transactions to take place securely. In addition, apps that send encrypted text messaging apps through Wi-Fi, such as WhatsApp, Signal and Telegram, have become increasingly commonplace in places where text messaging is expensive. There has been much talk as to how the current tensions among countries around the world could spark a third World War: the deteriorating relationship between the United States and Russia over issues such as the Ukranian crisis and the Syrian civil war, the differences among major countries and Iran over nuclear arms, or the brewing tension between America and China to gain supremacy over the South China Sea. Cybersecurity expert John McAfee, however, warned that the next war among nations may not be fought with actual arms or soldiers. For him, the war may erupt online, and worse, the Islamic State (ISIS) jihadist group, which has established a caliphate in parts of Syria and Iraq, is capable of winning it. In an opinion article for the International Business Times, McAfee, who developed the first commercial anti-virus programme, predicted that "the next major war will be a cyberwar." McAfee said in case this scenario happens, the United States is "woefully unprepared" and even "defenceless." "In terms of instruments of slaughter, the United States may well be the best-prepared nation in the world. Our arsenal of bullets, bombs, tanks, planes, boats, missiles and our nuclear capabilities are rivalled by few, and likely exceeded by none. None of this matters in a cyberwar – a fact that could damage us when our weapons and equipment are turned against us using computers," the security expert said. Federal cyber protection efforts grow this month with new soldiers being deployed across the nation to protect America's digital borders. Members of a cyber protection unit with the Hawaii Air National Guard conduct cyber defense operations during a training exercise in June. As cyber warfare takes on an ever increasing role, the Guard announced plans to activate additional cyber protection units spread throughout 23 states by the end of fiscal year 2019. Those units are part of service-specific cyber requirements and provide additional capabilities to deter cyber threats across a wide array of platforms. The National Guard Bureau will deploy 13 new cyber protection teams composed of about 500 soldiers across the nation to help protect the network infrastructure, the military arm announced Dec. 9. The Air Guard will also deploy four new "Cyber Operations Squadrons" in Idaho, Michigan, Texas and Virginia, along with a "cyber Information Surveillance Reconnaissance (ISR) squadron" in California and a "cyber ISR group" in Massachusetts. Collectively the deployments are geared toward a federal effort to protect against mounting cyberthreats. The teams will run simulations, and share contacts, information and resources with local organizations to help thwart and prevent attacks. The cyber protection teams will be deployed across Alabama, Arkansas, Colorado, Illinois, Kentucky, Louisiana, Minnesota, Mississippi, Missouri, Nebraska, New Jersey, New York, North Dakota, South Dakota, Tennessee, Texas, Utah and Wisconsin, joining four teams already deployed across California, Georgia, Indiana, Maryland, Michigan and Ohio. The teams are positioned around the nation's 10 Federal Emergency Management Agency response regions. This infrastructure is needed to support operations in the growing cyber world, said Air Force Col. Kelly Hughes, chief of the Space and Cyber Warfare Operations Division at the Air National Guard Readiness Center. "This is the beginning," Hughes said in a press release. "This is a massive amount of force structure the Guard has laid into this mission, but this is just the first layer." Could IS Turn Next to Cyber War? The power is out. Gas stations are out of gas. Factories are going haywire. It sounds like an action movie, but some analysts tell VOA that U.S. industries need to significantly ramp up their cyber security or risk having the Islamic State (IS) hack, attack and create mayhem inside their systems. "This is definitely a threat to the U.S. government and other western governments, but also to our industrial control systems — the ones that run our manufacturing plants, moving energy across the country, that have vulnerabilities," said Bob Gourley, the former chief technology officer of the Defense Intelligence Agency. Unlike cyberattacks by Russia and China, Gourley said, groups like IS are less interested in just extracting information and more interested in disrupting essential systems. "They are going to want to cause mischief and grab attention, so destroying equipment or changing information that makes us question our own systems," said Gourley, who heads the firm Cognitio and is publisher of ThreatBrief.com. As yet, he added, IS militants are not as capable as some criminal networks or rival nations, "but IS has more capabilities than any other terrorist organization that I know of. And they can gain more." So far, IS has established itself as a leader in using Internet-based communications and social media to both send encrypted information and recruit thousands of people from more than 80 countries around the world. The US needs a Cyber Corps as a new Service to successfully meet challenges in the cyber domain, but almost as importantly, to harvest military talent in an innovative manner. And we have a blueprint in front of us. The emergence and evolution of “cyberspace” as a warfare domain on par with the air, land, maritime, and space domains presents one of today’s fundamental military challenges – although cyberspace is somewhat awkwardly qualified as being “within the information environment.” A new “front” in the cyberspace operations discussion continues to emerge as defense experts call for a separate cyber force, an idea raised notably by retired Admiral James Stavridis as one of his “heretical propositions on US defense policy” and in recent Congressional testimony. With its own domain, acknowledged adversaries, and a continually increasing impact on warfighting, cyberspace should be the principal operating domain for a separate branch of the US Armed Forces, the US Cyber Corps (USCC). To maximize the effectiveness of cyberspace operations (to include cyberspace attack and cyberspace counter-attack), a service branch dedicated to and centered upon offensive cyberspace operations would lay the foundation to ensure warfighting success. The obvious historical analogy for the establishment of USCC is the evolution of the US Air Force (USAF), from its beginnings within the US Army to its designation as a service within its own department, including sharing responsibilities in the air domain with the other services. Post-World War II US military operations are difficult to re-imagine without the contributions of a military service primarily focused on the air domain – even if a separate air service seemed incomprehensible to military officers a century ago. However, USCC could have another historical precedent: the Navy-Marine Corps relationship as two services within a single Department. Considering the evolution and broad nature of the cyberspace domain, the Department of the Air Force makes sense as the logical “umbrella” for both the USAF and USCC. Based on USAF responsibilities in three domains (air, space, and cyberspace) and its core mission of global strike, creating the USCC under the auspice of the Department of the Air Force is a bold and innovative yet natural evolution for the Department. Separating the cyberspace mission from the air and space missions creates an opportunity to fully focus on the unique challenges in cyberspace operations. Placing USCC within the Department of the Air Force capitalizes on USCC-USAF linkages and allows them to share key resources. The Navy-Marine Corps dynamic within the Department of the Navy provides an initial blueprint for the expanded Department of the Air Force. Security researcher Brian Wallace was on the trail of hackers who had snatched a California university's housing files when he stumbled into a larger nightmare: Cyberattackers had opened a pathway into the networks running the United States power grid. Digital clues pointed to Iranian hackers. And Wallace found that they had already taken passwords, as well as engineering drawings of dozens of power plants, at least one with the title "Mission Critical." The drawings were so detailed that experts say skilled attackers could have used them, along with other tools and malicious code, to knock out electricity flowing to millions of homes. Aerial view of Chicago at night. The public almost never learns the details about these types of attacks — they're rarer but also more intricate and potentially dangerous than data theft. Information about the government's response to these hacks is often protected and sometimes classified; many are never even reported to the government. And that's what worries Wallace and other cybersecurity experts most. "If the geopolitical situation changes and Iran wants to target these facilities, if they have this kind of information it will make it a lot easier," said Robert M. Lee, a former U.S. Air Force cyberwarfare operations officer. "It will also help them stay quiet and stealthy inside."